Branch Venture Group is a Boston-based investment network that provides funding and advice to early-stage food companies. They focus on investments in the food and beverage CPG, foodtech, and agtech spaces. Primary sector focuses include food and beverage products, digital content and media, e-commerce and marketplace platforms, direct to consumer, agriculture technology, industry robotics, restaurant technology, and related life sciences. 301 Inc. is an energetic and enthusiastic team looking to collaborate with emerging food brands; to roll up their sleeves and work together to create breakthrough innovations and build successful businesses. If you have a product that has demonstrated success in the market, and you’re ready to take it to the next level, they want to elevate it. With $40M under management, AccelFoods is a venture capital fund that invests in early-stage food & beverage companies. They partner with driven founders with unique products and go-to-market strategies to create new categories and reimagine existing ones. 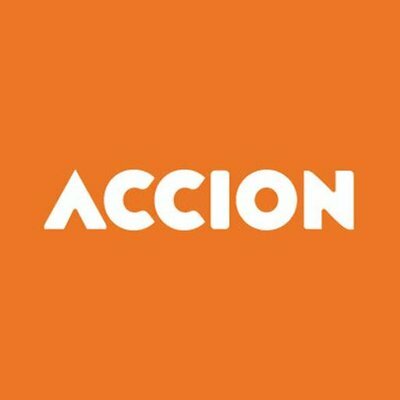 As a member of Accion’s nationwide network of lenders, Accion Serving the East Coast empowers small business owners through access to capital and education. They offer affordable business loans, complemented by in-depth guidance, coaching and an entire support system of peers, mentors and resources. Advantage Capital Agribusiness Partners is actively seeking to make investments in U.S. companies involved in all aspects of the food and agribusiness value chain, partnering with strong management teams to create long-term sustainable value in businesses. Leveraging Advantage Capital’s experience, they pride themselves on having deep knowledge of investing in rural areas. AgFunder is an online Venture Capital platform. They invest in exceptional entrepreneurs transforming our food and agriculture system. AGR Partners provides capital through non-controlling equity and subordinated debt to cultivate long-term growth in leading food and agribusiness companies. AgTech Innovation Partners is a management and advisory team supporting early-stage food- and agricultural-technology companies in North America. The Partners support entrepreneurs who are developing solutions to improve farm productivity, increase agricultural sustainability, modernize supply and distribution chains, and create innovative new high-value products. The Partners believe that innovations in ag-and-food technology have the ability to transform our food systems, improving the productivity, efficiency, and sustainability of current agricultural practices, while also improving the health and well-being of our population and our planet. Anterra Capital invests in companies that are transforming the safety, security and sustainability of global food. The most active private equity investor in middle-market food and beverage companies, focused on entrepreneurial and family-owned businesses. Since 2002 Avrio has invested in nearly 60 companies in the Food and Agriculture sectors. Each is addressing peak food in a fresh way – be it crop inputs, food production, nutrition, or value-added processes like fermentation and synthetic biology. What their investees have in common is they are solving real problems by combining innovation and execution to create world class organizations. Better Food Ventures has assembled a team of experienced, international investors looking to identify and develop companies that can improve the performance of the food and agriculture industries through the application of information and communications technology. BIGR Ventures is a growth equity fund providing value-added, strategic partnership and capital to promising early-stage natural and organic products. BFG is a venture capital firm that seeks partnerships with early stage food and beverage consumer product companies. They work alongside exceptional entrepreneurs to ensure the business is able to deliver sustainable growth and outperform its competitors. In addition to providing their portfolio companies with capital, BFG provides teams with the advice most needed to make critical decisions and maximize opportunities. This advice spans operational strategy, tactical marketing, channel development, organizational design and capital planning. A consumer-focused investment firm founded by operators to partner with operators, CAVU Ventures invests in passionate entrepreneurs with big ideas that change the CPG marketplace for the better. They are passionate producers of iconic beer, wine and spirits brands and they are looking to support emerging brands and technologies that represent the future of the beverage alcohol industry. Cultivate Ventures is always looking for innovative new concepts, entrepreneurs, and companies to invest in. Cultivate Ventures prioritizes strong ideas with justifiable traction; forward thinking entrepreneurs; realistic valuation expectations; commitment to transparent collaboration and profitability; and — above all — positive attitudes. Their passion is for driving high performance in growth sectors including sustainable agriculture, food retail, agriculture technologies, clean technology, urban renewal and disruptive and appropriate technologies. Simply put, Cultivate Ventures helps dedicated business owners solve pressing challenges. Cultivian Sandbox Ventures invests in innovative food and agriculture technology companies who are commercializing the necessary solutions and actively collaborating with strategic partners. They invest in high growth food and beverage companies led by highly motivated, talented and relentless entrepreneurs. They will consider investing in technology companies that are focused on enabling food and beverage brands, manufacturers, distributors and retailers. They are only interested in opportunities that are aimed at exit transactions within 5-7 years. Fair Food Fund provides financing & business assistance to good food enterprises that are growing vibrant local food systems. Farm2050 is a collective of diverse partners - a complete ecosystem - that is committed to advancing the future of food through supporting AgTech entrepreneurs and startups. They define themselves not just as classical business angels, but as long term partners of and reliable mentors to innovative enterprises in the Food sector. Their objective is to support exiting and tasty Food start-ups with capital, expertise and network. Jointly, they discover and win in new markets. Food Hatch is a food focused accelerator which provides seed and early stage funding to food related companies. In addition, we provide our portfolio companies with food expertise from some of the most experienced and knowledgeable senior executives and successful entrepreneurs in the food industry. Fresh Source Capital is an investment firm in Cambridge, MA focused on sustainable food and agriculture. While the amount of “smart” impact investment capital is increasing rapidly, global access to that capital is not. For that to change, low-cost, high-impact investment models and talent are needed to push money and business resources out to areas where they are needed most. Developing and testing such solutions are the core mission of the Kirchner Food Fellowship. GreenSoil Investments funds companies with transformative technologies that change how we use the world’s resources. Their portfolio companies enable smart and efficient use of energy, water, and land in the Agriculture, Food, and Real Estate sectors. Homestead Capital is an investment firm focused on acquiring diversified farmland assets in The United States. Their investment focus is high growth North American companies that promote health and sustainability in the food & agricultural sector. At Inspiralia, they help your company land federal tech grants (SBIR). They work with the most innovative small tech businesses and connect them with federal agencies, putting together strong proposal applications that help them land federal SBIR grants of $1.5M each. Their vision is to help the innovative companies of tomorrow grow. They work with start-ups, small businesses, incubators, VC firms and economic development programs to match small innovative companies and technologies with federal funding opportunities. At Isocline, they work with entrepreneurs at the incubation, seed and growth stages to help build successful and sustainable companies. Their investment is much more than just capital – they are here to provide support to your team with the challenges of starting and operating a business in the wine & spirits industry. Whether it is an important financial or strategic situation, solving a distribution issue, launching a new product or simply connecting with someone in the industry – they bring their industry expertise along with capital to help. FSG seeks to harness the power of venture capital and entrepreneurial for-profit enterprises to accelerate the day every person on the planet has reliable access to healthy food. Liquid Asset Brands builds and invests in innovative beverage businesses. Financing for small business, woman or minority-owned business, or sponsoring community development effort in Massachusetts ABLE to demonstrate potential. Next Street provides strategic and capital expertise to small businesses and nonprofits, and connects the dots across their broader ecosystem to drive sustainable, equitable development. NGEN Partners is a private equity and venture capital firm investing in the sustainability and healthy living sectors. Paine Schwartz Partners is a private equity firm specializing in sustainable food chain investing. With a differentiated focus on the global food and agribusiness sectors, they leverage their thesis-driven approach and operational expertise to enhance value in each of their investments. The PVGrows Investment Fund, Inc. provides financing and technical assistance to farm and food businesses through community investments. PowerPlant Ventures provides capital to rapidly growing plant-centric companies that focus on delivering better nutrition in more sustainable, ethical ways. The Restaurant Investment Group was founded by industry leaders and service providers who identified inefficiencies in how chefs craft, fundraise for, and open Greater Boston’s hottest chef-driven restaurants. They offer a novel concept for the industry, providing chefs/owners with capital, service providers, and experience; providing investors with diversification and transparency; and providing landlords and communities with the desired, interesting, and independent chef-operated restaurants. Rural American Fund is a Chicago-based private equity firm with an innovative, niche strategy targeting the favorable dynamics of the agribusiness market. Growth capital private equity firm focused on investing in emerging consumer companies in the Healthy, Active and Sustainable Living market. They are a seed capital fund that promotes a healthier lifestyle by investing in companies that create better-for-you consumer products. Sunrise Strategic Partners provides growth capital and expertise to emerging brands in the healthy, active and sustainable living space. The Sustainable Local Food Investment Group is a network of accredited independent investors who share the mission of using private investment to re-establish a robust and sustainable food system across the Chicago foodshed. We identify promising start-up and early stage companies, then provide capital, expertise and a network of contacts to help drive their success. Goal: to create a resilient and healthy food system in New England by increasing the production and consumption of local, sustainably produced food. The Sustainability Group manages roughly $1.5 billion dollars of assets using socially responsible criteria originally developed by Amy Domini. Their investment approach, however, extends beyond a rigorous selection process. Tin Shed Ventures™ is Patagonia's corporate venture capital fund, which is used to invest in environmentally and socially responsible start-up companies. An investment firm focused on early-stage food, agriculture, and health & wellness companies. ZX Ventures is a global growth and innovation group within AB InBev, the world’s leading global brewer and one of the world’s top five consumer products companies. Launched in 2015, their mandate is to develop new products and businesses that address emerging consumer needs. They operate multiple global business units of varying adjacency to their core beer business: international craft & specialties beer, eCommerce, homebrewing, brand experience, and exploration.They invest ahead of the curve: seeding, launching, and scaling new products that deliver exceptional consumer experiences and bring people together.